I was listening to Billy Idol’s “Sweet Sixteen” this morning on my way to work – absolutely love that song – and, after googling him, then the song, I ended up here. I did not know about that artist and was really intrigued by his bio and work. That’s how I met Silvia, a lovely Brazilian blogger who lives in Berlin. I clicked on Technorati, then clicked on one blog that had linked mine... And we became friends. 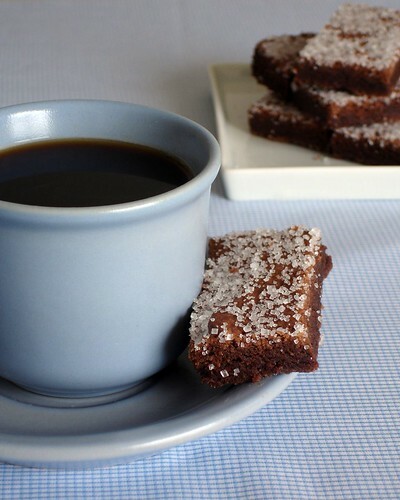 Another result of my clicking mania was finding this recipe – Jen posted it a long time ago and I urge you to try it, too. These cookies are wonderful and I’m sure you have all the ingredients in your pantry. Preheat oven to 160ºC/325ºF. Butter/spray a 30x20cm (12x8in) rimmed baking sheet and line with parchment paper, letting it hang over the long sides. Sift together flour, cocoa, cinnamon, salt, and baking soda. Set aside. Beat together butter and sugar on medium speed until light and fluffy. If you don’t have superfine sugar, process granulated sugar in a food processor for 15 seconds. Add flour mixture and mix until just combined. Spread dough into baking sheet. Chill dough in refrigerator or freezer for about 15 minutes or until firm. Prick dough all over with a fork. Bake for about 20 minutes or until firm – mine took 35. While still hot, cut into 10x2.5cm (4x1in) pieces. A pizza cutter works wonderfully for this. Sprinkle top of shortbread with granulated sugar, covering completely. Cool completely in the pan. Oh, I know all about those fortuitous clicks-- snooping around in Technorati is how I discovered a few friends myself! (er, I'm not naming names cos they might blush!) You are so lucky, Patricia, but still everything's well-deserved because you're so nice and such a generous spirit (as is Silvia, of course! Her package is lovely). Yes, it's my mission to make everyone blush. I actually thought they were brownies-- I shoulda guessed they were cookies ;) They look soo buttery and rich! Lots of fun treats you got. What delish looking shortbread as well. 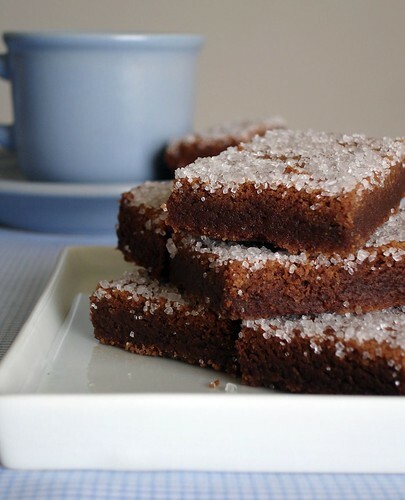 Those look so good...I love the idea of topping them with coarse sugar. What great texture to add to an already delicious flavor! Oooh, lovely goodies and that chocolate shortbread looks scrumptious too! It's so much fun receiving such a nice care-package. I feel I just received a treat from you just by looking at the scrumptious cookies you've posted. Delicious! Wait until you turn 50 and the same thing happens in your conversations. You just keep clicking using your mouth, adding new thoughts, and...uh oh, you have no flippin idea where you started and neither does the person you are talking to. Fun without drugs. I love shortbread and chocolate is even better. Lucky you with all the wonderful surprises. What a really lovely gift Patricia, lucky you! Thanks for the recipe, I've never tried Chocolate Shortbread come to think of it. Plain shortbread and chocolate chip and all sorts of other kinds but never chocolate! 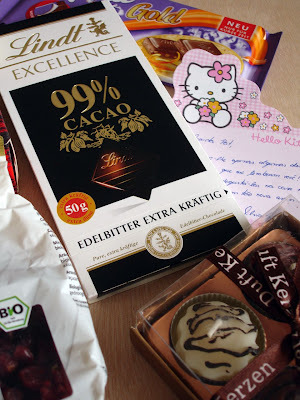 Isn't it fun getting presents from food bloggers in other countries? I love when "mystery packages" arrive at my door. I love receiving gifts from blogger friends, although haven't got any gift from any bloggers (except it is a present-exchanging event) just yet. 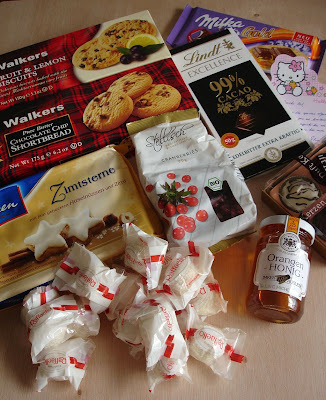 Congrats for the present and the biscuits look perfect for afternoon tea! Ooooh gifts galore! That's cool that you two became friends. And they are beautiful! And the gifts...wow! Love the chocolate shortbread, it looks absolutely scrumptious! These look really good I mean shortbread and chocolate together how rich! And congrats on your package its always fun to get stuff in the mail. I am a clicker, too. It's amazing how much of a day can be spent just clicking away! The cookies look delicious! wow, these cookies look wonderful! i am also a clickaholic- and wikipedia certainly helps me aid my addiction! What a generous package! And the shortbread are just gorgeous with the sanding sugar on top. That shortbread with the coffee is making my mouth water! I love shortbread...will have to try this chocolate version soon! Similar click to click to click links is how I became a blogger. 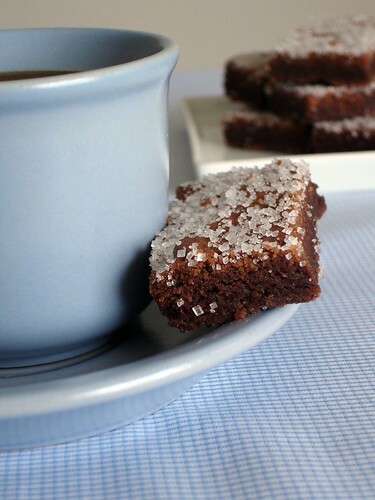 It started out with a tea cup exchange and then I found FOOD BLOGS! Never looked back. Love the generosity that flows between bloggers despite never meeting. Also love those cookies. Perfect afternoon treats. ur pics look so lovely! Love the look of the white sugar on the dark brown shortbread. Must have been yummy! Snooky Doodle, you are so kind, thank you for your offer! Food bloggers rule, I have to say! Alexa, I'm glad you feel this way, thank you! 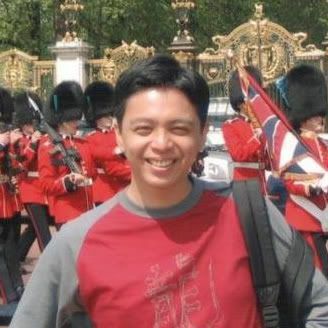 Arfi, I would love to send you something from here - send me an email! Emiline, she's a wonderful friend. Deb, and we can find some precious things! Tks! Cookworm, I think you would like it! Elle, and clicking and clicking is how I found food bloggers, too, and then became one! And I'm glad I did, sweetie! It was wonderful meeting all of you! Linda, they were good, yeah! One of my favorite internet activities is getting lost. I find the most amazing things -- and people -- just as you've described. Lovely presents and delicious chocolate bars. I love that sugar on top! I made your chocolate shortbread tonight and it was heaven crumbling and melting on the tongue. The best shortbread, by far, I have ever made...and I didn't even use an electric mixer.